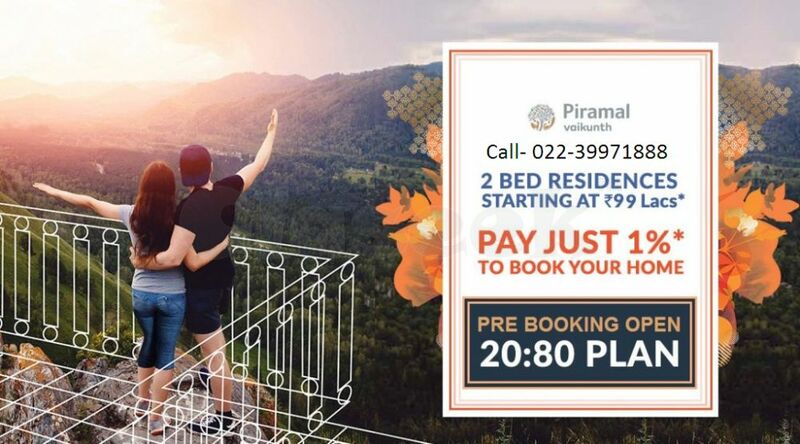 Piramal Realty, the real estate development of Piramal Group, launches a new Luxurious residential Project “Piramal Vaikunth” at Balkum, Thane Mumbai. This Project is Spread in 32-acre of Land Area, Buyers can select from 2 to 3 bedroom Luxurious and Spacious apartments For Sale. Piramal Vaikunth Phase 2 is a New launch Residential Project by Piramal Realty. Piramal Realty Group is committed to bringing transparency & trust to the real estate sector. Piramal Vaikunth Thane has offers amenities & facilities such as a, banquet hall, Kid’s play area, swimming pool, library, cafeteria, business center, and indoor game, basketball court, badminton court, gymnasium, Medical Facilities, School & institutions, squash, 24*7 security system, power backup, jogging track, etc. Claseek™ India is a FREE online classifieds portal. You can buy, sell, trade, rent, deal, find and advertise almost anything here. We are one of the leading local classifieds for Real Estate, Electronics, Fashion, Vehicles, Services, Travel, Money, Jobs and more. Properties section is dedicated for buying, selling and renting Apartment, Condominium, Landed House, Land, Commercial space, Parking space, Room, etc. or finding a local Property agent. You may indicate the number of bedrooms, bathrooms, area, construction year, etc. Buy from agents, owners or developers.